In selecting products, we must consider not only the products themselves, but how they are made, their source, and our supplier's commitment to the environment. We look for companies and artisans who share our core values, like giving back, fair labor and working conditions, and doing what we can to leave a smaller carbon footprint. If you are a supplier or creator of recycled, reclaimed, hand made, organic, natural, fair trade, educational, or energy-saving products, and interested in selling through our site or retail locations, please complete the form below. Fair Trade	- created by local artisans who maintain cultural traditions while earning a fair wage. Recycled	- materials were reprocessed or remanufactured in some way to create a new product. Reclaimed	- materials were reused in their original form without reprocessing or remanufacturing. Sustainable	- harvested from naturally regenerating resources that were not permanently damaged. Organic	- materials were grown without the use of toxic pesticides or fertilizers. Natural	- derived from plant, mineral, or animal matter that did not undergo synthetic processing. Handmade	- made by hand or a manual process with care and craftsmanship. Energy-Saving – reduces the amount of energy or eliminates the need for energy. Gives-Back	- a portion of the proceeds are donated to beneficial organizations or causes. Educational	- provides an opportunity to learn about or explore some element of the environment, or reducing our carbon footprint. 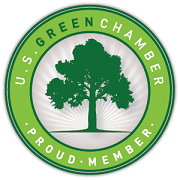 Please list any environmental or business certifications held by your organization that may be worth mentioning. In addition to promoting sustainable products and living practices, we aim to educate consumers on ways to leave a greener footprint. To that end, we include a brief story with every product, explaining why it is unique or sustainable, along with information about the artisans or supplier. Please provide a brief description of your product(s) and company that we can include on our site. If this information is already available on your site, please include the URL for reference. We will respond to your inquiry as soon as possible, usually within 48 hours.